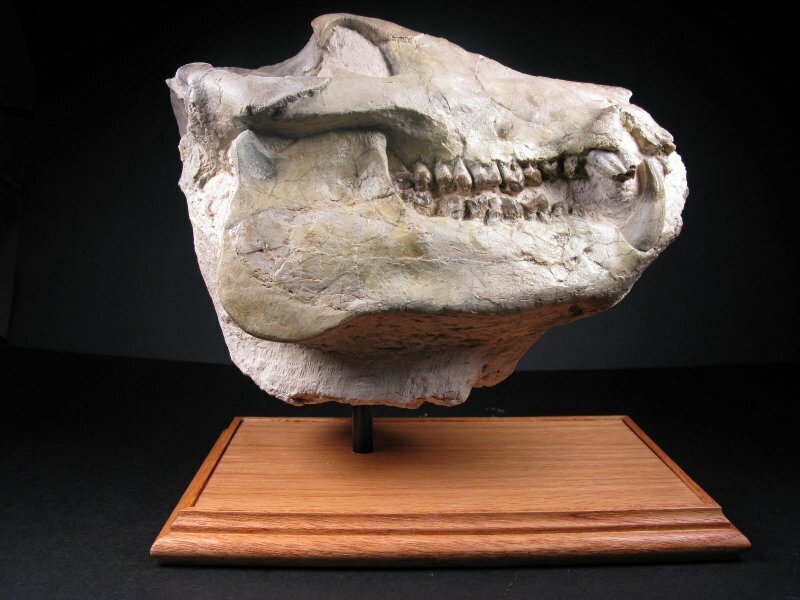 Description: This peccary is one of the rarest mammalian fossils from the White River badlands; indeed, it is rarer than the cats of family Felidae. 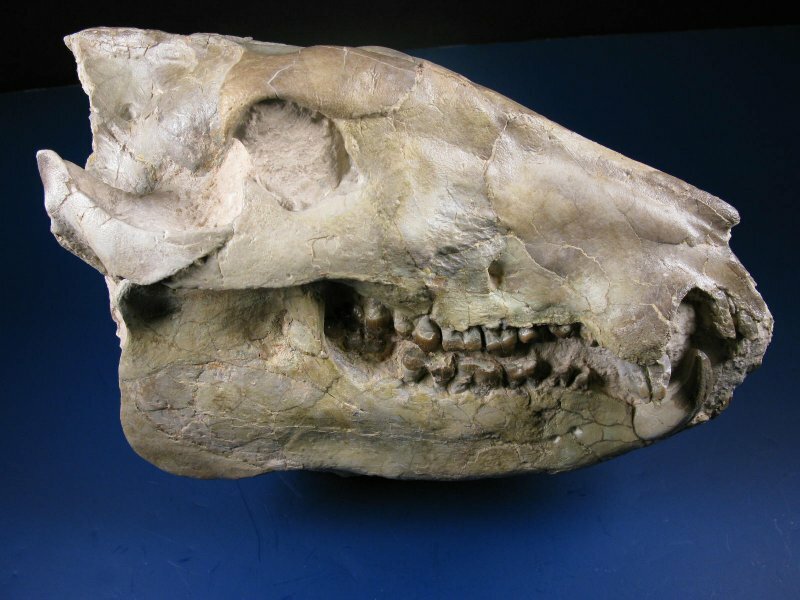 The strong resemblance to pigs (separate family Suidae) is the consequence of convergent evolution owing to their similar occupation of ecological niches, both being omnivorous rooters. 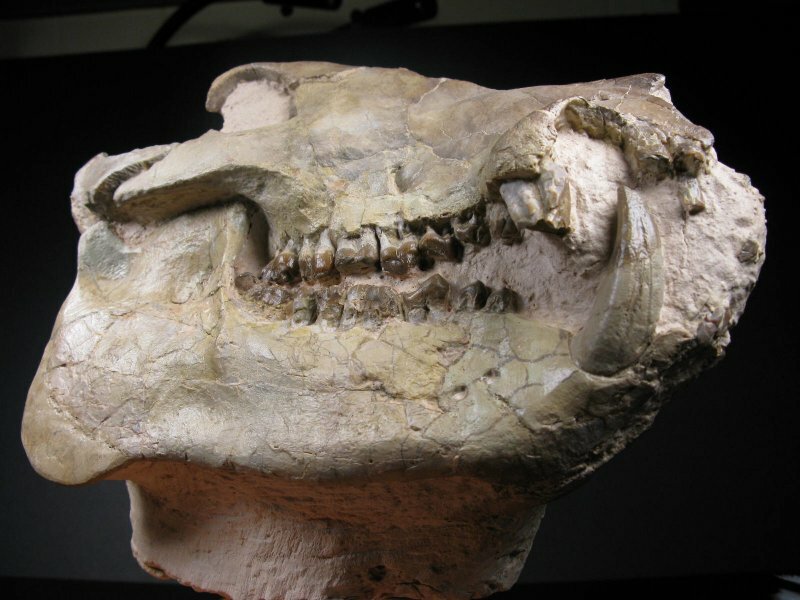 The fossil record indicates the appearance of peccaries in the upper Eocene to Lower Oligocene in Europe. 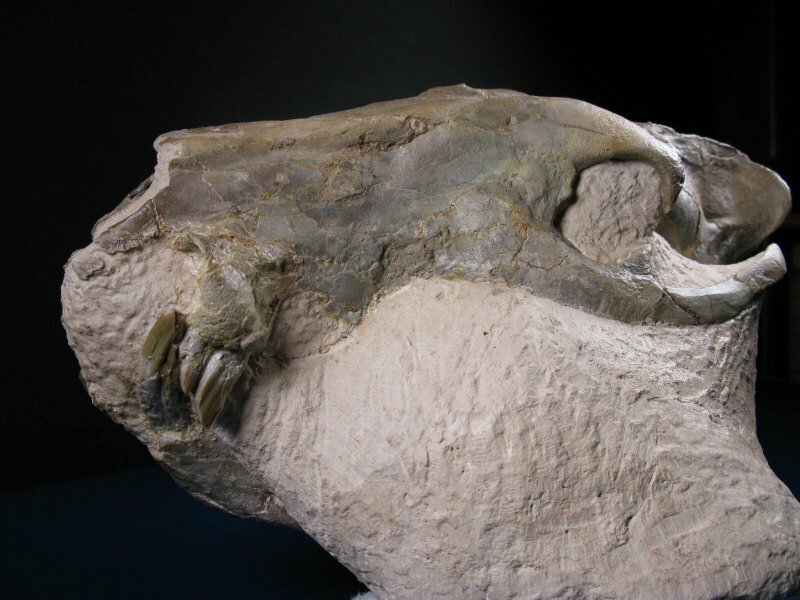 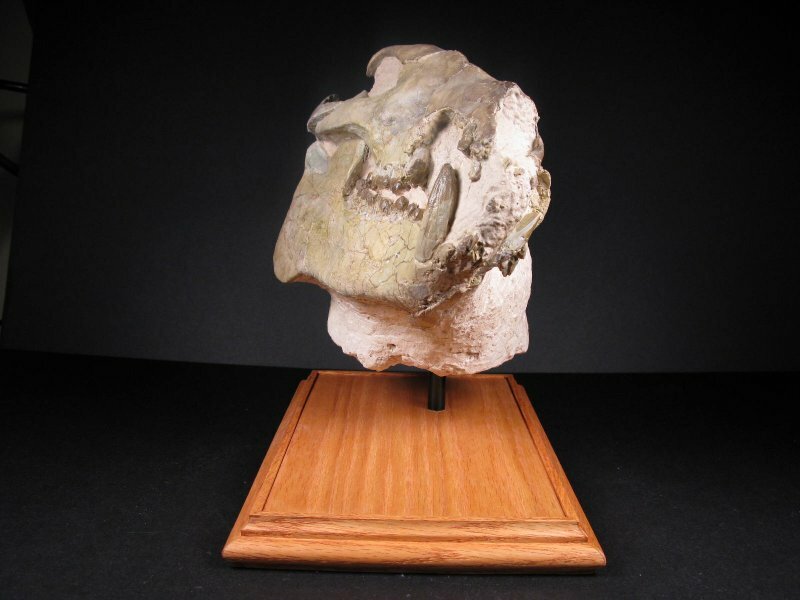 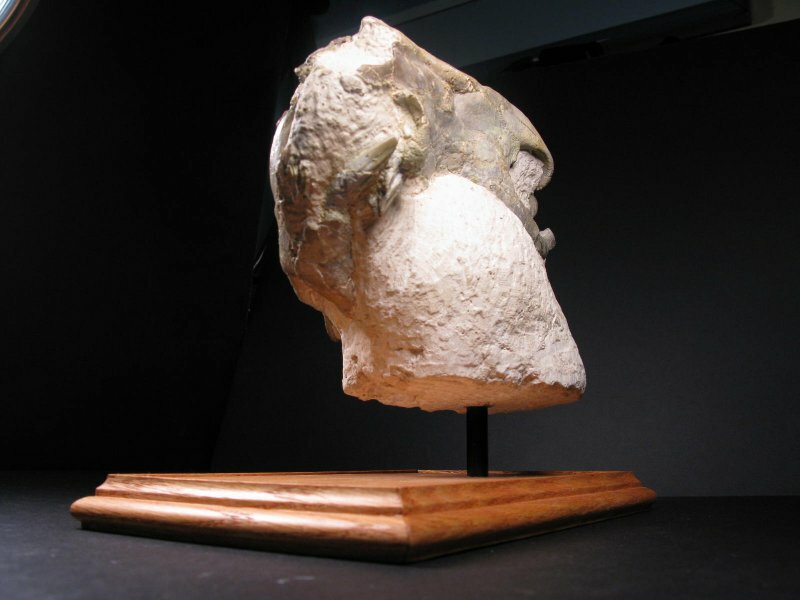 The first appearance in the North America fossil record is the lower Oligocene, though the closure. 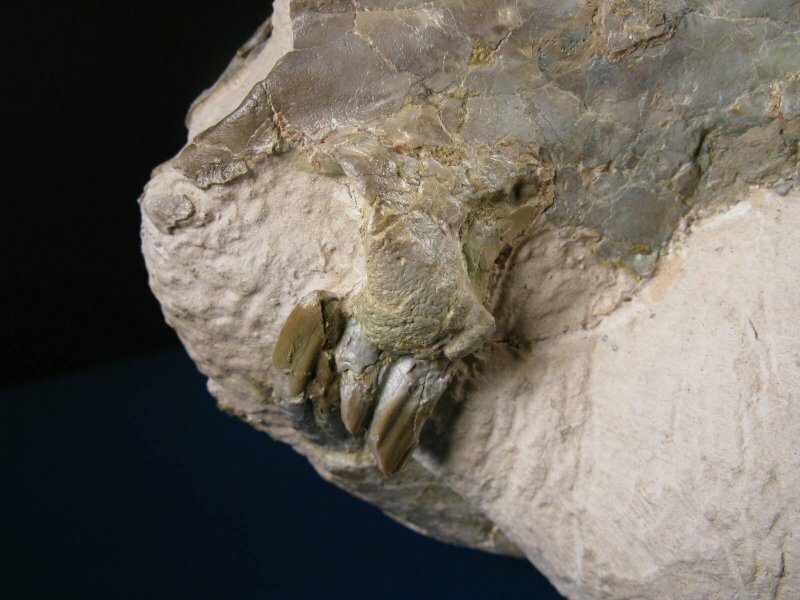 Fossils have been discovered in all continents except Australia and Antarctica. 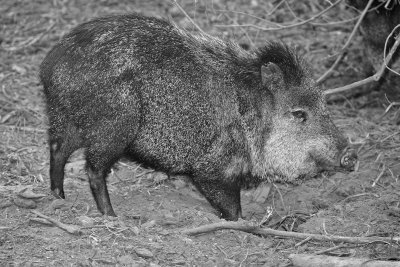 Peccaries are members of the Artiodactyl suborder Suina, as are swine, Suidae and hippopotami Hippopotamidae, pigs and wart hogs. 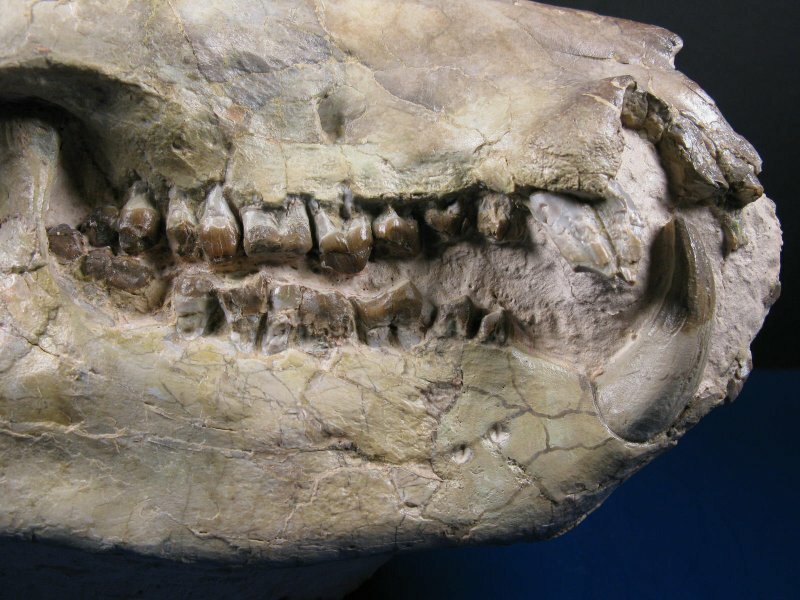 The earliest fossil suids date to the Oligocene epoch of Asia, and their descendants arrived in Europe during the Miocene.